INCLUSIVE LEADERSHIP QUALITIES THAT MAKE A DIFFERENCE. Sharpening inclusive leadership qualities not only involves hiring and respecting people from diverse cultures and backgrounds, but it also borders on engaging and involving your employees and showing them that each one of them matters. A real inclusive workplace boasts of employees that truly stand respected, valued and involved, and treated with dignity. To acknowledge every employee’s importance sets the stage for them to give you their energy, creativity and loyalty. Happy employees boost the productivity of an organisation. People becoming apathetic and performing at less than their full capacity betray a non-inclusive workplace, oftentimes. An inclusive leader respects, appreciates and values everyone. Such a leader draws eager employees intent on staying. Relating to all people, irrespective of their background, makes the mould of inclusive leadership. Tuning up your inclusive leadership qualities creates a work environment that fosters motivated, engaged employees who are fully committed to the goals of the organisation. The following strategies heighten inclusive leadership qualities. Recognise, appreciate and listen to everyone irrespective of their level or status. In an inclusive work environment, people tend to use every opportunity to learn and grow. To bolster the self-esteem and self-confidence of your people confers great benefits to the organisational productivity. You will see up to the heights of success by adopting the inclusive leadership skill of valuing your people for their diverse talents and skills. Valued and respected employees demonstrate a strong commitment, personal connection and responsibility for their work and teams. An inclusive work environment attracts and retains the best employees. In the process, it curbs staff turnover, disciplinary problems and absenteeism. 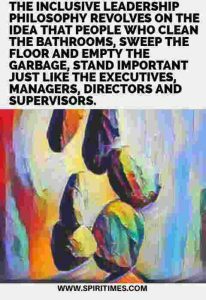 The inclusive leadership Philosophy revolves on the idea that people who clean the bathrooms, sweep the floor and empty the garbage, stand important just like the executives, managers, directors and supervisors. Acknowledge the individuality and uniqueness of each person. The way to make one employee feel special differs from another. Enhancing inclusive leadership skills touches on taking the time to discover the different motivations, priorities, preferences and dreams of your employees. To make them feel special tells of getting to know everyone individually. Putting yourself up to learn about your employees past work experiences, their aspirations, their skills and talents, their short-term and long-term goals, their personal interests and their families, equips you with crucial information. This information helps in creating a positive impact, because it is useful in finding ways to maximise employee abilities and helping them to realise their goals and ambitions. Remembering some minor facts about an employee’s life holds as a great motivator that warms the heart. Sometimes, inclusive leadership thrives on reversing the protocol between the leader and the people. The aim is for the leader to get to know each person better. Rather than you waiting for your reports to come to you, go to their offices instead. The photos on their desks, the artworks on their walls, their manner of interaction with their coworkers tells a lot about them. Avoid keeping emotional and physical distance from your people. To project image of impervious strength and to hide your humanity, especially your flaws and weaknesses denies to your subordinates the knowledge of who you really are. A lack of respect for you springs forth from displaying such untrue attitude. To project out an authentic image, garners for you the respect of your subordinates and peers. Inclusive leadership encourages the unmasking of what moves you, what excites you, what you care deeply about and what you struggle with. This attitude enables you to own up to your mistakes, admit what you do not know and hold with effectiveness. Go in for respecting everyone, on equal terms, either up or down the corporate ladder. Your credibility as a leader rides on it. Put down a commanding image and acknowledge others with a sincere greeting. To treat others as if they are invisible fires off a demoralising message that betrays the minor value you place on your people. A sincere simple gesture of saying hello or stopping to chat for a minute or two stirs up good feelings in others. People take away, how you made them feel. Listen to people at every level of your organisation. Doing so helps you to make better choices and fewer mistakes. To acknowledge and respect everyone honours one our basic human needs. It not only helps in building the morale and self-confidence of your people, but it also provides you the leader with valuable information. Carrying everyone along inspires in your people greater commitment to and more support for your decisions. This stance also haves in the benefit of a variety of perspectives. The policy to ask for everyone’s opinion solidifies the trust between you and your people. Your people will tell you the truth if they trust you completely. Productivity, innovation and problem-solving gets a boost by involving people at all levels in the organisational process. Keep the promise to make yourself available to your people when they need you. Making out time for everyone who requests for a meeting, regardless of his or her position in the organisation, creates a happy and productive work environment. That kind of environment denies fertile ground to problems that devour the leader’s time. The knowing that you are available to them creates a sense of belonging in the minds of your people. By allowing your people to air their concerns and complaints, giving them a fair hearing and following through with your commitments, you create a harmonious workplace that attracts and sustains competent people. Addressing both work and non-work related concerns of your people with your open-door policy proves valuable for your organisation. The payoff in staff loyalty and motivation holds through. Taking care of the small issues prevents them from transforming into bigger problems. The gesture of handing out the appropriate telephone numbers and reassuring your people that it is all right to call at any time of the day, sends a strong signal that you care and want to hear from everyone. This gesture also heightens the willingness of your people to volunteer crucial information either by email or coming to your office. Try to see any of your people as soon as possible to help them to deal with a concern. Plan your calendar to accommodate the unexpected, for the unexpected rears up as something more important than the expected, sometimes. Allow your people to express their thoughts completely. Staying focused on the person that you are speaking with, with a congruent body language and not rehearsing what you are going to say next, confirms the value of your interactant. Also, this situation places you in a position to espy any glimmer of an idea that might shine through from your interactant. Furthermore, staying focused enables you to take in the body language of your interactant and decipher the true import of his or her communication. Taking notes to refer to, later, haves a full play here. Paraphrasing the meaning of a person’s communication shows that you are making good effort to understand him or her. This encourages open and candid communication from your people. Reversing office protocol and levelling out the setting of an interaction or a meeting helps to put your subordinates at ease. Going out and greeting them instead of waiting for an assistant to bring them in and sitting on the same kind of chair with them proves useful in this regard. The simple courtesy of escorting your visitors to the door, thanking them for visiting and holding the door until they go through also works well. Say exactly what you mean in ordinary clear language. Inefficiency and lack of trust comes on the heels of unclear communication that leaves people more confused than they were before. Colouring your message to evade saying the truth undermines the trust that others have in you since they see through your deceptive words. Communicating in a clear, direct, honourable manner gets others to understand what you want them to know and do. Your reputation as a trustworthy leader thrives on openness and sincerity. You begin to get with inclusive leadership values when people trust that you mean what you say. Endeavour to communicate one-on-one and face-to-face to affirm the value of your people. Personalise your message whether you are communicating through the phone, email or office memo. In the same spirit, speak to your people in small groups rather than large crowds, as much as you can. Be vigilant and reach out to people who feel left out for one reason or the other. Befriending an employee eating lunch alone in the cafeteria points to inclusive leadership wisdom, for feelings of isolation affect performance. The idea of making sure that everyone in your team understands the importance of getting each other to feel included, regardless of race, religion, gender, sexual orientation or physical appearance, thrives on your good example as an inclusive leader. To embarrass one in front of others fails to get any event in the inclusive leader’s mind, but the attitude of quietly correcting others holds over. Do away with a rigid top-down command structure that slows down communication and delivers less than reliable information. Putting aside the vertical chain of command structure means that the leader demonstrates a willingness to listen to anyone in the organisation whether or not that person reports to him or her directly. Still on a proactive footing, inclusive leadership values discourages the use of intimidating comments or remarks. Such remarks include: “why did you see him or her before coming to me.” Although the leader makes it clear to his direct reports what information he expects from them and its mode of presentation, he still promotes a flexible chain of command structure that permits his direct reports to talk to whomever else they think appropriate in a given situation. On that account, the trust between the leader and the people solidifies for the better. When trust replaces fear in the equation, information flows freely in a timely manner into where it is needed. Inclusive leadership values thrives on hiring great people, setting the terms of their responsibility, authority and accountability, and letting them to do their thing. Although you earn more money as the leader and have a fancier title than your subordinates, none of that proves that you are smarter than them. To assume that every difficult situation needs you to take over and make every decision plays to arrogance. Sharing leadership roles in a crisis situation ensures that everyone comes out fulfilled and accomplished. Design an organisational structure that fosters an inclusive environment. A boost of enthusiasm, commitment and creativity holds as evidence of a corporate culture designed to appreciate the role of every individual in the organisation. An inclusive organisational culture designed as the system of values and beliefs that drives actions and behaviours, and influences relationships, boasts of passion, integrity, respect, drive and energy. Taking care of your people before you take care of the paperwork brings a great pay-off. Treat your people as good as you treat your customers. To motivate your people to fulfill the expectations of your customers, get them to experience the fulfillment of the same expectations since we all share the same basic expectations in life. Our common individual expectations include: a desire to feel special, a longing for others to affirm us as individuals, respect us and our families, and make us knowledgeable. Fulfilling the expectations of your people boosts their self-esteem and self-confidence. By the agency of this, the leader secures to his organisation a professional and caring workforce. The behaviour of motivated staff members impacts positively on the productivity and bottom line business results. 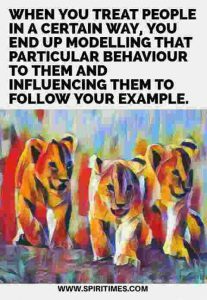 When you treat people in a certain way, you end up modelling that particular behaviour to them and influencing them to follow your example. So, treat your people in a manner that affirms their value, trustworthiness and respectability. Inclusive leadership turns on principles that ascribe equal value to all staff and stakeholders of an organisation. 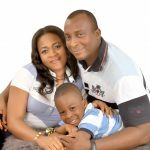 My name is Azubike Eze, a published author, interested in exploring uplifting ideas that are part of the chief things requisite for bringing lastingness to our lives, and guiding us to the Truth of our Wholeness. These are all fantastic points. I’m sad to say I have had many leaders who fail to do these things and it negatively impacts the organization as there is no shared vision or collaboration. People are left feeling underappreciated and undervalued. It is very important to listen to everyone! You never know where the best ideas might come from! These are some accurate tips, one could give about leadership skills. People should understand the difference between boss and a leader. Leadership is all about playing with the team, not to make other play for you. Being a good leader is crucial in the success of a project. I can only think of the team projects that I have done in the past. When all the members were able to share their opinion and were listen to, the project would be a success. When one person decided to take leadership and follow only his thoughts, the project failed. Being a leader is more difficult than you realize. This is a great blog that could benefit people before they obtain that role. To truly lead, this is the way. This was my favorite thing to talk about in my Industrial Organizational Psychology class! Sometimes people have to work crappy jobs, but that doesn’t mean that they shouldn’t feel valued and like an important part of the team. After all, without someone working that position, then the job would never be done. Yes, some people are expendable, but when you are always refilling positions because of the high turnover, you’re losing money and productivity by constantly training new employees and never getting the potential that you need from them. I was horrified, one morning when I came in to help my kids’ school out with popcorn day. It was the first one that I ever helped with and the janitor was treated terribly. He was called in to clean the machine while everyone stood around and watched. It should have been the job of the parents (in my opinion) to help clean the machine when they were finished the time before, but they hadn’t. I grabbed a sponge and rag and began helping him. He was so glad for that help that he thanked me over and over again and told me that no matter how much he hates his job, he couldn’t leave it because some of the kids need to see good example in their life and he felt like he could make a difference. It wasn’t the adults who made his job worthwhile it was the young children who offered him “hellos” and told him that he was doing a great job. The next time I saw him, he thanked me profusely and told me that I did such a great job that he had never seen the popcorn machine or that area so clean after use. I told him that I had actually had to leave to pick up my youngest from preschool, so I had nothing to do with it. I think maybe, those mothers saw what a little bit of humility looked like and decided they should do more. Your gesture is inspiring and kind.Thanks. We are personally struggling at work when it comes to effective leadership, when the head of the organization only thinks of the present situation and not taking actions about it we are foreseeing a downfall. I always believe that as an effective leadership always think ahead of everything possible will happen. You pointed out good points! Very informative. I hope everyone who has a role as a ‘leader’ can read this, hell I would want to share this to my team leader right now. She would really need this. Thanks a lot for this interesting and jam-packed read. Two thumbs up for this great post! Employees would stay loyal to their bossess and the company when they feel valued. This is worth sharing. Having a good relationship between the leader and employee will result to great team. Great team means successful company! These are great pointers. I like that you’ve included the importance of listening to people throughout different levels of your organization. Not everyone understands that we all have a say, and you never know who’s input might come in handy. LOVE this list! My favorite is reaching out to people who feel left out. I think that is so important. Sometimes leaders might not realize they are part of the reason as to why their team member feels left out, but it’s important to always keep this in mind. Thanks for sharing! The points are fantastic. I hope my employer would put the tips into use. I love that you’ve put in here you should be human! I hate the feel of a cold, distant leader. Luckily for me, my team at work is awesome (knock on wood). So many great points! Thanks for sharing your insight! Being a great leader definitely takes so many different things. Everything molded into one is what makes a great one for people.